Here is a thread where we can share pictures of our vessels, our work, and all related pictures of our lives on water. 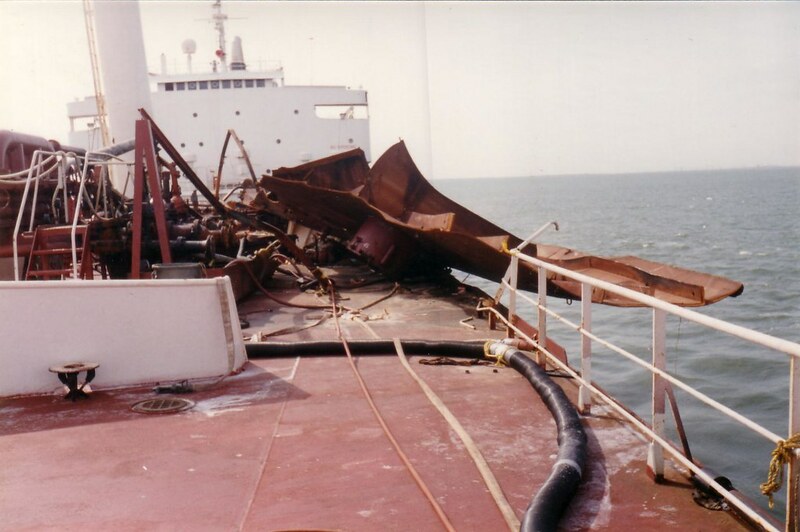 I sailed deep draft vessels for my entire career so I especially would enjoy viewing pictures taken by forum members who work off shore, on tugs, and barges, perhaps my pictures of days gone bye might be equally appreciated. The USNS [I]Private John R Towle[/I], was a famous Victory ship. I was 1st A/E on her during her summer runs to supply Sondrestrom (Greenland) Air Force Base back in the mid 70’s. The voyage was most interesting. The sounds of the ship slicing through ice is a sound to remember. The passage through Sondrestrom Fjord is spectacular. Oh I like show an tell. Gimme some time to find my old photos and scan some. Excellent - Looking forward to your collection, Fragrat. Say, All MSC folks, “Slowbell,” a retired MSC Captain, has posted a page containing pictures of a good number of MSC vessels. Signed-on The SS [I]American Manufacturer[/I] in late August, 1959, she was a U.S. Lines C-2 Class steam general cargo ship, it was my first assignment as an Engine Cadet, it started a full year at sea. I spent four months aboard her on the England, Scotland, Ireland voyages. Got to experience what “Winter North Atlantic” was all about - thrilling and a tad chilling. The SS [I]Santa Margarita[/I] was a Grace Lines C-2 Class steam cargo/passenger ship. 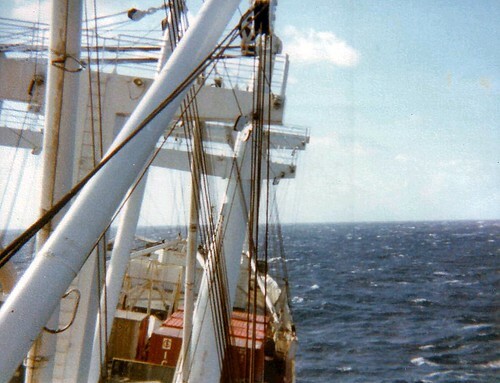 She was my second ship as a cadet on an adventurous South America West Coast run, an interesting life for a young man spending four months aboard such a ship. This post card pictures her at a small banana port upriver from Guayaquil, Ecuador. At this location the [I]Margarita[/I] would anchored and load bananas. She had a large reefer hold for such cargo. well not a old ship, laid down in the 80’s, but shes my first and my bread and butter currently, picture of it in las palmas canary islands, about 200 ft in front of a bar where the photo was taken…man i loved that port security was nil and was a 10 min walk to the bar at night! and not bad for a port area for cruising the town! Great picture - thanks for the posting. I’ve been in that bar. Actually, not the bar itself but its outside tables on the square. Lovely port, thoroughly enjoyed myself, especially at a certain saloon about two blocks up the hill. At my age I’m afraid all my ship’s pictures will be ancient. This is for C.Captain! The mighty Geysir in all her glory! Days like this she was actually quite nice to work on. The summer runs wont always bad! These days however, sucked pretty bad. This was from hurricane Danielle in 2010. Winter North Atlantic was almost this bad daily lol. Ok maybe not this bad, but bad enough! Come-on, ye Bastards, post pictures of your life on water. I sailed as Mate in the below K-SEA tugs and with the exception of FALCON, snapped all the pix. 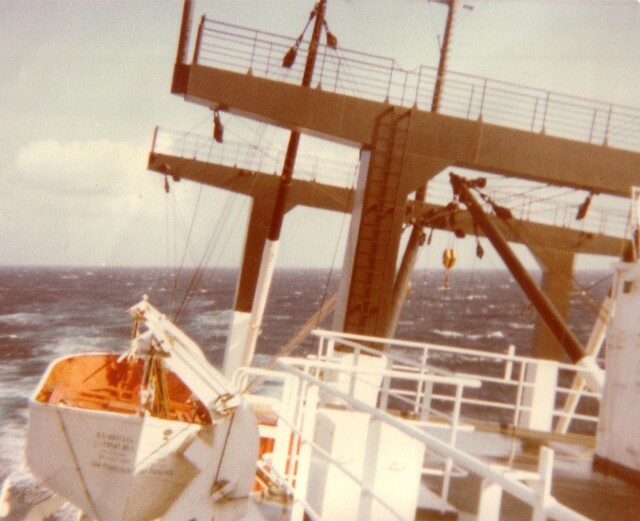 [QUOTE=Jolly Tar;82377]I sailed as Mate in the below K-SEA tugs and with the exception of FALCON, snapped all the pix. EXCELLENT, Jolly Tar, all of them. Here’s a couple. I won’t have a lot of them as I worked entirely with one company with 3 ships. Mobil wasn’t exactly a small company, but its U.S. flag west coast operation was. Here’s the first ship I worked on after Ft. Schuyler. 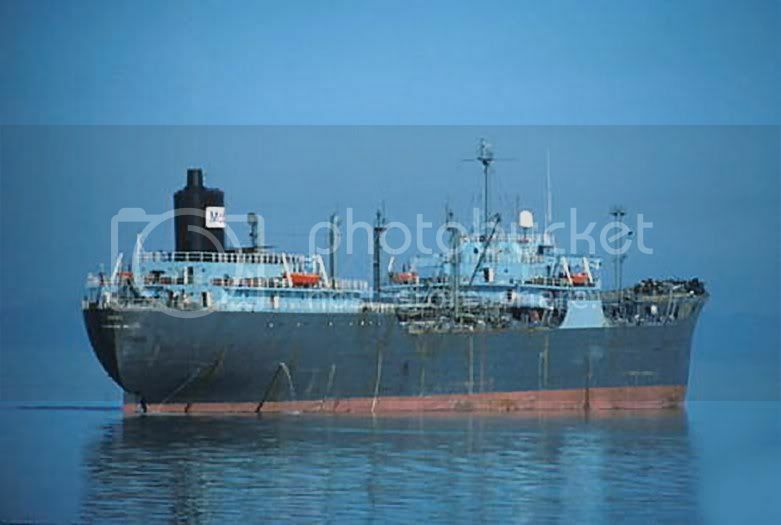 Even in 1980 the Mobiloil was an old ship (built 1958), there weren’t a lot of two house tankers left. 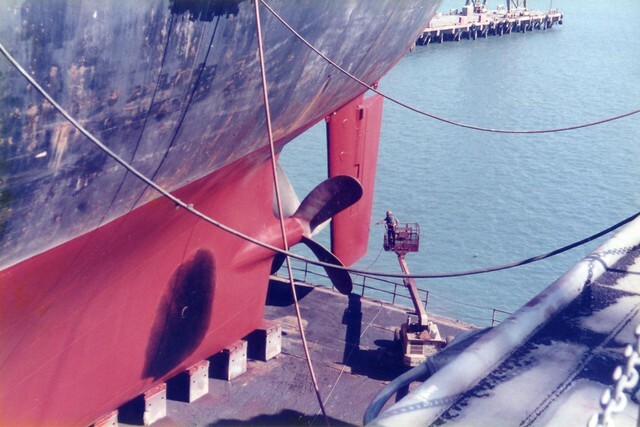 I preferred the older ships where tanker mates carried a rag (to test if cargo was coming in or going out) and a signal mirror (to see the bottom of the tank during daytime) in their pockets, I detested working in an indoors cargo control room. I never completely trusted a valve was open or close if I didn’t turn it myself. 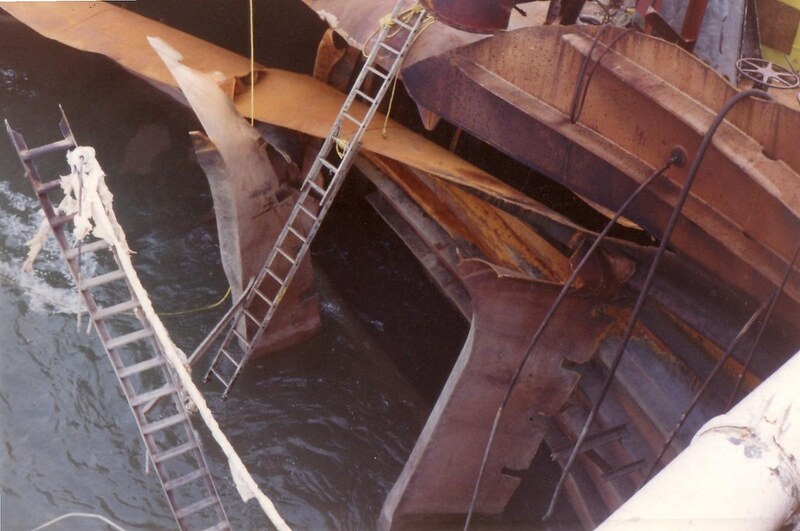 The Mobiloil ran aground (steering gear failure) in the Columbia River in '83 and was scrapped. For me, classic case of not on my watch. I was on the 8 to 12 and it happened at 0002 (a pin dropped out of the steering linkage and we were stuck with rudder hard over and got intimate with Warrior Rock). Mobil replaced it with a laid up sister ship, the Arco Endeavour. Mobil re-named it the Syosset, being from Long Island, I was the only guy aboard who knew how to pronounce it. Here are a couple of the NANCY LYKES during her last drydocking at Todd Shipyard in Galveston. I was with ABS and we were carrying out Special Survey. 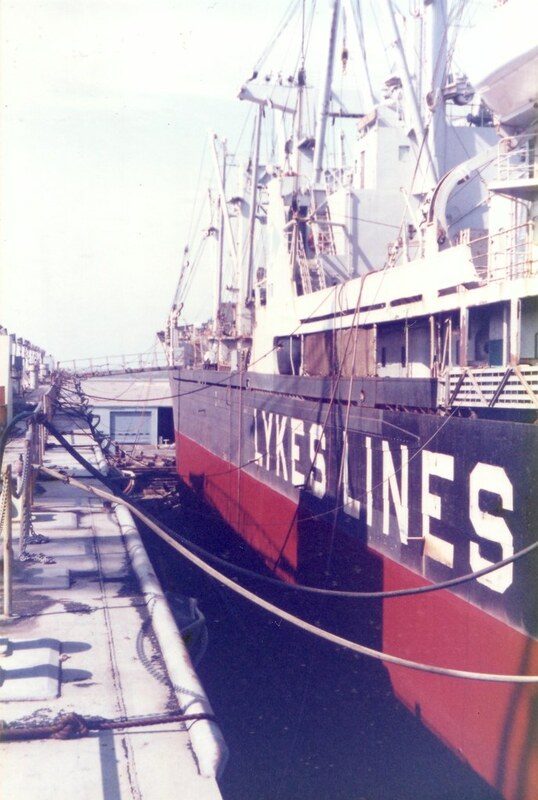 I sailed on her sister, the LESLIE LYKES as a cadet some years before. Here are a couple on the MONTANA, back on Thanksgiving Day in 78. These COLORADO Class ships didn’t like seas on the stern quarter. . . . The ATB SEA SKIMMER/PLAQUEMINE. This one ruined many careers. Thankfully, I was not one of them. Taken in Corpus Christi in the 80s. One last set. 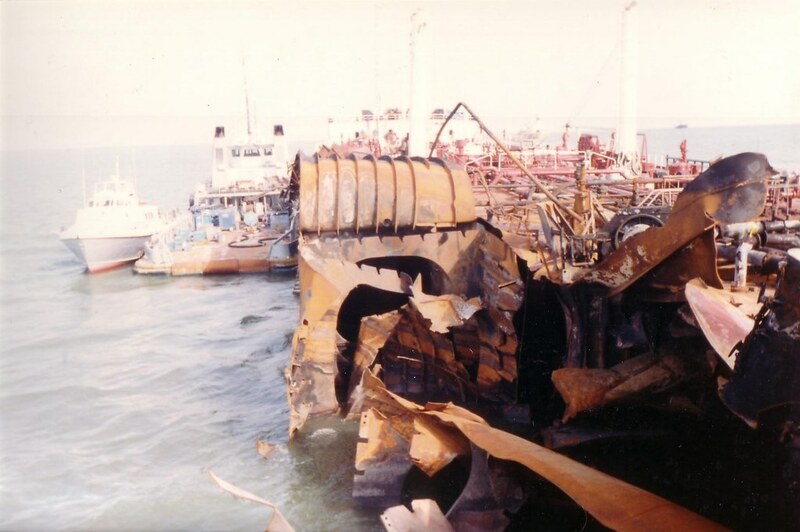 The S/S: OMI CHARGER blew up in the Bolivar Roads in October of 1993. I was with ABS at the time. Made for an interesting several weeks. After I worked for MSC I hired-on with Getty (“Getty Refining and Marketing Company”), they had 5 ships, two were T-2 Tankers, the SS [I]Louisiana Getty[/I] and the SS [I]Wilmington Getty[/I], I sailed on both. I enjoyed those split house tankers and well recall the mates carrying those rags and mirrors. My time there was short, Getty closed down this operation in 1982. I then hooked-up with the MEBA. I’ve been around the block a few times, some of my best memories were my days on those T-2 Tankers. Old ships, yes, but they worked well and we had a dam fine bunch of shipmates. Aw - great shot - thank you. Bet you were in “Port Jeff” a lot. I probably am looking back with rose colored glasses but I was a lot happier back in those years then in my later years.